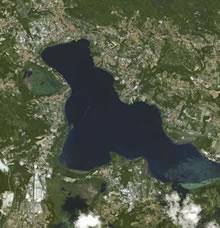 Lake Varese (8.8 km long by 4.5 km wide) occupies an area just under 15 km2. 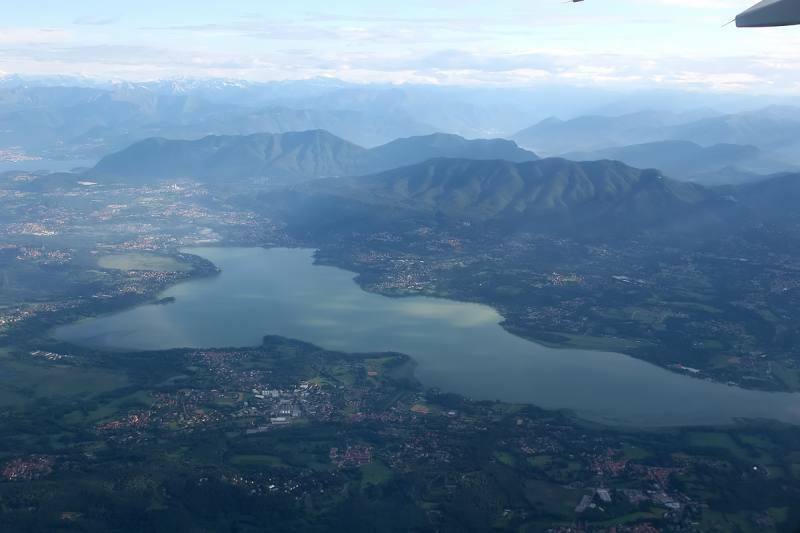 The initial stretch of the Varese-Milano motorway when you first leave the town centre of the garden city, has unexpected, breathtaking scenery. Heading in the direction of Milan, the verdant basin home to the lake and mountains in the horizon can be admired on the right. The Campo dei Fiori Massif with its slight incline slopes towards the lake against the Alps in the distance and on clear days, Mount Rosa clearly stands out in a magical light. 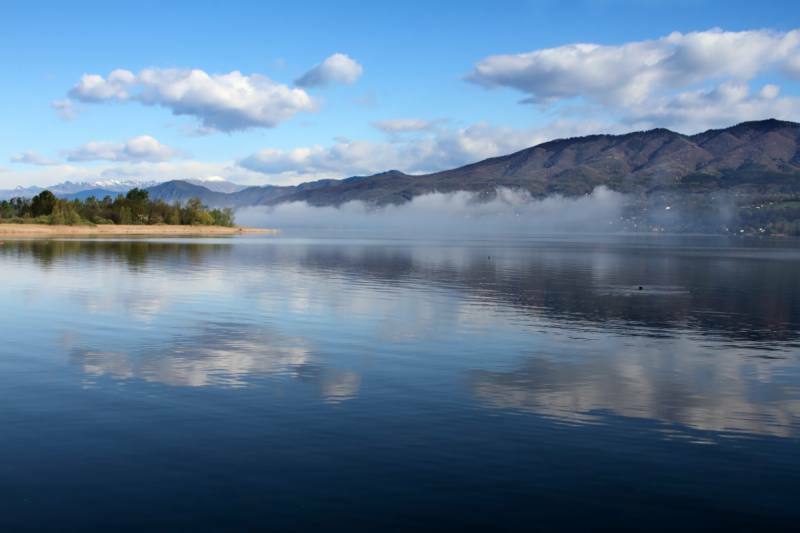 Exclusive villas and pleasant settlements in harmony with the lively scenery are scattered along the shores of the lake. 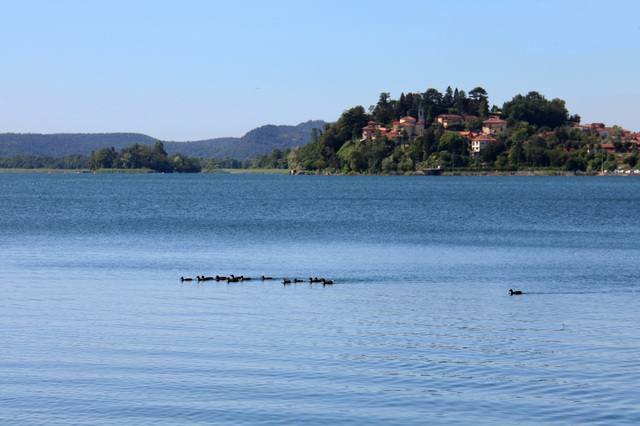 One of Lake Varese’s most interesting places is in the middle of the lake: tiny Isolino Virginia (Virginia Islet). A very important pile-dwelling settlement dating back to the Neolithic period was discovered on it, along with jewellery, tools and grave goods. Nature enthusiasts strike out along the little roads south of the lake, which penetrate a swampy area enriched with spontaneous vegetation: the Palude Brabbia Nature Reserve. Here visitors can skirt along enormous floating carpets of water chestnuts and water lilies. In the past the lake was used for fishing and it had abundant bird life, but industrial reconversion along its shores and intense urban settlement in the area have polluted it quite heavily. Despite several current efforts to reclaim and protect its waters, the lake is not currently suitable for swimming. However, it’s great for sailing, rowing and sports and professional fishing. The shores have dense reed beds, which are the perfect refuge for abundant, diversified fauna. If you’d like to get close to migrating birds that leave northern Europe for the hot lands of Africa and stop here along the way, we recommend a tour on an ecological boat whose extremely quiet electric motor results in an unforgettable encounter with osprey and other water fowl such as the grebe, grey heron, teal and dabchick. 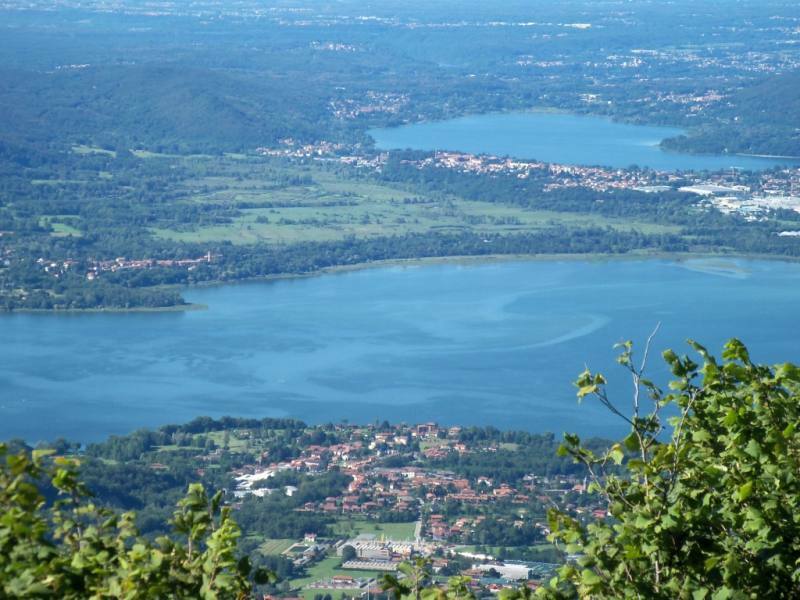 These tours are periodically organised by the Lipu (the Italian Society for the Protection of Birds) branch in Varese. There is also a bicycle-pedestrian path around the lake. 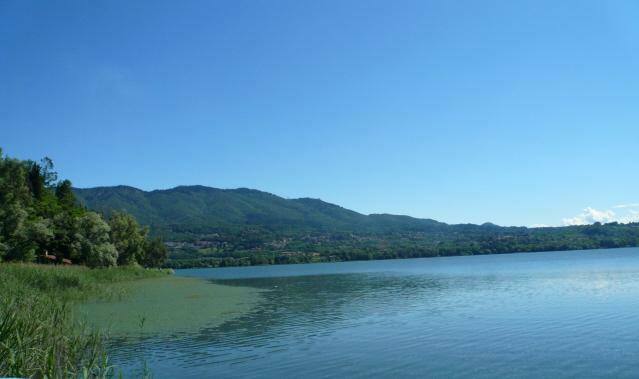 It starts out in several towns around the lake (including Gavirate, Cazzago Brabbia, and Buguggiate), or in Varese in Schiranna.